Compared to other investment strategies out there, dividend growth investing is unlike any other. By the very definition of the word it’s not just investing, neither is it investing for dividends. It’s dividend growth investing, with the growth part being key – and the reason why the strategy draws me so much. You see, back in May last year I started my journey towards financial independence with an index approach, which basically means that you purchase a weighted basket of global large cap stocks stretched out over a certain period of time. While I still believe that index investing, either through passively managed funds or ETFs, is a great strategy if you want a hands-off approach, dividend growth investing caught my eye. At first, the main reason why I was drawn towards dividend growth investing resulted from the passive income that it offered. You see, I’m a big fan of having a stable cash flow at my disposal rather than having to sit on a volatile pile of money. It’s a psychological and not entirely rational thing, but it is what it is – investing remains a personal affair, after all. And therein lies the first dose of growth that dividend growth investing has to offer. Because your total income, irrespective of whether it’s passive or active in nature, increases over time, you’ll be able to save more and thus invest a higher amount of money each month in absolute terms. 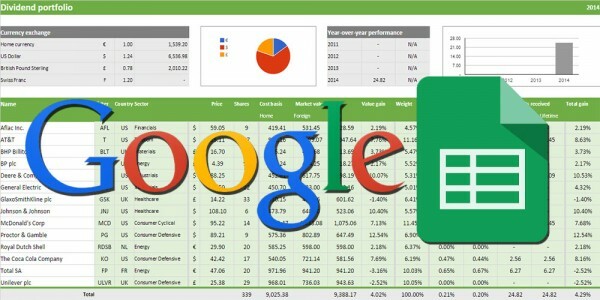 As such, the increased cash flow helps you to build an even larger future dividend income stream. 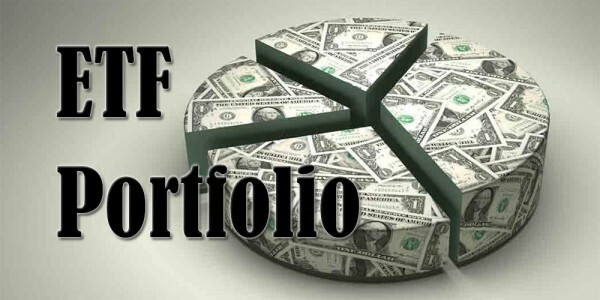 Many people take advantage of this effect by partaking in a dividend re-investment plan, which automatically re-invests any dividends received into the stocks paying them. Being the contratian fellow that I am, I prefer to re-invest the dividends as I see fit myself – the outcome remains the same. While this re-investment effect remains relatively small within my own portfolio in absolute numbers at this point in time, it’s still noticeable. The €400 in dividends I’ve received so far this year have already contributed to about €10 in additional income next year at my average net yield-on-cost of 2.5%. Now multiply these numbers by ten and you’ll really start see the power of what I like to call the external compounding effect of dividend growth investing in all of its glory. Despite all of the above, I discovered that the dividend strategy offers an even better proposition after reading up on what lies at its core, namely the growth of the dividends themselves. 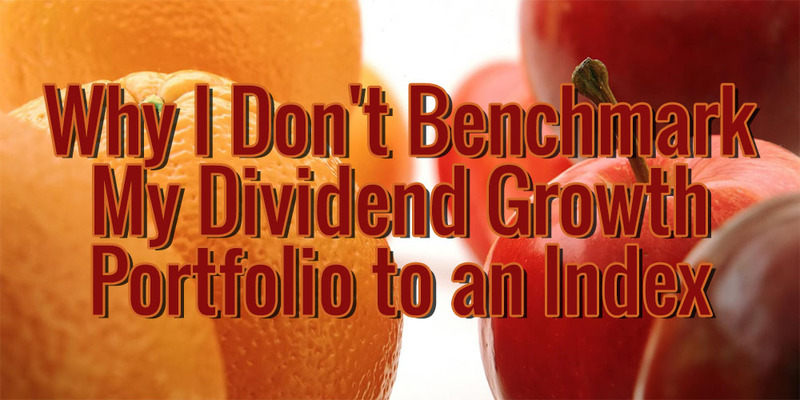 I noticed that folks like Dividend Growth Investor, Dividend Mantra and DivHut were not just picking up stocks that paid a dividend here and there – they tried to seek out companies that are likely to increase their profit distributions each year. That’s the second – and easily the best – part of the growth equation at work. Contrary to the external compounding effect described above, there’s nothing you have to do to enjoy this internal type of compound growth. Some companies are simply hell-bent on offering investors a progressive income policy, so they’ll reward you with a larger piece of their profits year-in year-out, whether you want it or not. Let’s take the example of Roche Holding (VTX:ROG). This Swiss pharma giant has managed to safely boost its dividend for 28 consecutive years at an average annual growth rate of almost 15%, meaning that a first-time investor would have seen his dividend payment grow from 2 CHF in 2005 to 8 CHF this year. Amazing, right? Similarly, investors who initiated a stake in the Belgian brewer Anheuser-Busch InBev (EBR:ABI or NYSE:BUD) in 2005 have enjoyed a 20% dividend growth rate the past ten years. True, during that period the dividend was cut once in 2008 to allow for the acquisition of Anheuser-Busch, but at no actual cost to the investor, especially in the long-term. In my view, these numbers should excite all types of investors. Just ask yourself, did your job’s paycheck quadruple over the past ten years like Roche’s dividend has? I bet it hasn’t! And if it has we need to sit down and talk about how to negotiate a salary increase. Obviously, a dividend growth investor hopes to achieve a double dip. On the one hand, he’d love to take advantage of the compounding effect behind re-investing his passive income, while on the other hand also enjoying an aggressive dividend growth rate from the companies he’s invested in. And rightly so! Strangely enough, both the external and internal type of compounding result in a similar effect, even though they in essence differ from one another. That’s because they both lead to more future income, albeit in a different way. You see, external dividend growth is palpable. You receive cash money, you re-invest that cash – done. Internal compounding isn’t. It’s a completely different beast because you don’t have to do anything. Imagine you owned 10 shares of AB InBev which returned €2.45 in gross dividends during the previous financial year, but found out that they managed to pay you €3.00 a share this year. That’s €5.5 in additional income, which you’d otherwise have to invest at least €170 for at the 3.2% yield that the company was sporting at the start of this year. The key difference being, you didn’t have to at all. And that’s why double dipping is awesome! Sometimes you receive additional income because you simply continued to re-invest your dividends, whereas other times the extra income comes naturally and organically. As you can imagine, the exposé above is exactly why I’m a big fan of dividend growth investing. Simply put, the strategy offers growth on top of growth on top of growth on top of growth – ad infinitum. It might take a while before the numbers turn into anything meaningful, but once they do you won’t know what hit you, or your bank account for that matter. Of course, there are ton of arguments against pursuing a dividend growth strategy, but every investment style has its good and bad sides. I know that most of my dividends are heavily taxed, for example. And I’m well aware of the fact that a passive indexing approach might build my net worth faster, but there are a couple of reasons why I don’t compare my performance to an index. However, if there’s one thing that my brief stint in the stock market has learned me, it’s that you should only pursue what feels comfortable to you. No one but yourself is able to assess your appetite for risk or to determine which incentives help you stick to your strategy and goal. That’s why I’ll continue to double dip for the foreseeable future. 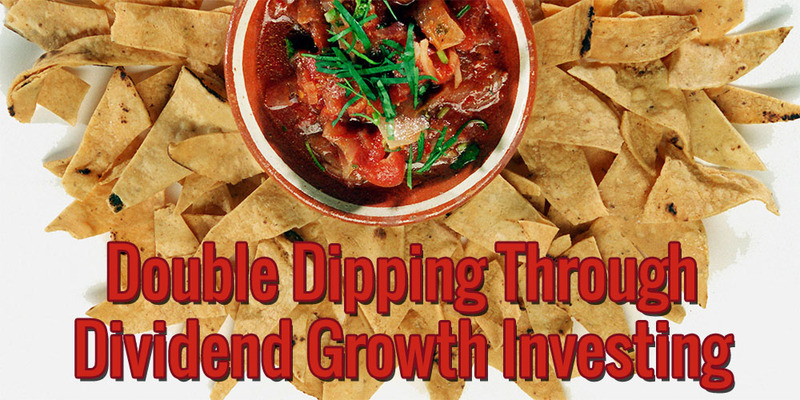 So how do you feel about dividend growth investing’s double dipping? Really great post which should make fantastic reading for people who are thinking of investing for dividends. Thanks, I appreciate the kind words. I hope both new and long-time dividend growth investors find value in this post. Its easy to say this is the best long term strategy. I am never going to be a big money player, but even the little guys can win given the timeline and the patience to follow a solid strategy. I wouldn’t say it’s the best strategy (index investing comes to mind), but it’s definity up there. You’re right about it not being a big money game. Even with our reasonable income levels it’s impossible to achieve great things through dividend growth investing. The only things needed are perseverance and patience. Very good post NMW. When a company can afford to pay and raise dividends for years, and you can reinvest those growing dividends, you can only increase your passive income and wealth over time. Now, if you can also do that in a tax-advantaged account, you are golden..
Too bad we don’t have tax-advantaged accounts over here – they would speed up my progress by quite a lot. Nevertheless, I’m pretty happy with my performance and experience so far. Consistency, patience and perseverance is all it takes! If you like DGI so much that you accept a longer way to financial independance than it is your choice, I just think it is not the optimal approach towards reaching FI as fast as possible. Its not my business of course, I just want to point it out. I hope I will start my journey to FI soon as well. Your saving rate is impressive. Thanks, I appreciate the kind words! And thank you for taking the time to leave a comment. However, I’ve found that I prefer the constant reinforcement that dividend payments give me. I know this is irrational, but it helps me keeping the right mindset. And this is personal finance, after all. Let me know when you start your own FI journey, love hearing about new people getting into the game! Fantastic article I enjoyed reading it. I have to agree benefit from two types of investing but I love it. Companies with a trackrecord of paying dividends will also grow most of the time. Coca cola was the biggest Soda company in the 50’s , 80’s and it is still the biggest one today but it kept growing its profits and dividends and that’s just one of the many amazing companies. Indeed, KO is a great example of why stable businesses that pay a dividend are an excellent investment. Even though KO currently isn’t doing as well as they have in the past, I can’t imagine a world in which they won’t be making good profits and paying dividends in 50 years. I have not found a better strategy yet. As the markets drop my dividends will keep coming in. Good post NMW. That’s the beauty of dividend growth investing… Yes, my Anheuser-Busch InBev stocks are down 12%, but I’ll still be able to count on at least €3 in dividend income for this year. Nice article, really like your blog. Just starting out to seek European blogs apart from German ones. Like it! I don’t think Germany differs much from Belgium, so it should be interesting to draw comparisons. This is what many of us refer to as the “snowball” of dividend growth investing. As you reinvest a stream of steadily rising dividends, the snowball grows much faster than it seems possible until it is a huge boulder. The hardest part, of course, is when it is just a bit of snow in your hand. Once you get started, though…. Exactly, the snowball metaphor is often used by dividend growth investors – rightly so. I can’t wait to see my snowball roll faster down the hill than I can push it myself. Or better yet, see it turn into an avalanche of dividends. I see other people already mentioned it, but the dividend growth strategy is far from optimal for Belgian investors. Due to double taxing of dividends, in the home country and back in Belgium, you lose about 37,5% of the dividend. This is a huge loss, and you only keep less than 2/3 of your passive income. It’s better to use products that reinvest the dividends automatically seeing Belgium has no capital gain tax. You are living very frugal in your lifestyle (excellent!) but throwing away 1/3 of your dividends by using this strategy. Indeed, dividend investing isn’t as good as index investing, for example, from a taxation perspective. I don’t agree with the loss though. Currently I’m at a 29% taxation rate overall, which is rather high, but even accumulating ETFs lose income to taxes (about 15%) because they can’t recuperate them. So the actual difference is closer to 15%. Still, that’s a significant loss. And I’ll gladly take that loss in performance because dividends manage my eagerness to make big gains and push myself forward more. You have no idea how much a dividend deposit reinforces my attempts compared to non-dividend paying investment options. I know that I’m being irrational, but we’re dealing with personal finance after all. Thank you for your comment, I appreciate it! Just stumble on your blog. I’m a Canadian value investor focused of dividend stocks. Dividends are certainly not the most “hot & spicy” method of the moment, but on the long term and according to our own goals, who cares? Thank you for taking the time to leave a comment and for subscribing! My two favourite investment strategies, namely dividend growth investing and index investing, are rather boring, but I view that as a good thing. Besides, the long-term potential is huge! I reinvest all my dividends into the same fund low E/R index mutual fund. Feels good and I don’t have to lose time invested by withdrawing and then adding them to a new account later. I also don’t have to pay gains and I don’t lose time in the market. Seems like you’ve got things on lock-down! Solid strategy and I’m sure you’ll become FI in no time given that you save a massive percentage of your income. We have got the right attitude. Dividend investing is really a double dip. We can expect a capital gain but also sweet dividend from solid companies. Thanks for sharing! As always, happy hunting! Ha, I didn’t even talk about capital gains in this article – good point. Over time capital gains are nice, but I primarily focus on dividend income because that’s what will help me pay the bills if I ever become financially free. Talking of dips, how did you do in the current market environment? Both my dividend stocks and exchange-traded funds performed pretty much on par with the market and the exchange rates between the EUR and USD, GBP and CHF. As a result, my result to date took quite a beating. The upside, of course, is that I managed to snag a few stocks that I had my eyes on for a while at a much lower price. Shame that there is no like-button on that page! Even I am not DGI-ing big parts of my brain want me to do so after this awesome read. So a here comes a big like! This was a great piece! Even though I re-invest my dividends and earn a great growth rate annually on them, I never thought about it being a “double dip.” The internal compounding is like passive passive income and you do a DRIP it’s also like passive passive income. I don’t participate in DRIPs as of yet like you because I’m still fairly new to income investing and weeding out some last few stocks to replace with new ones. Once I feel I have comfortable positions, then I’m going to enroll and let’em ride. I would love to share your article on my blog with a little write up explaining what the article is about if that’s okay with you. I run an income investing blog for my daughter’s account. I also invest in dividend stocks in my IRA as well. Thank you for dropping by and for the kind words! You’re not the only one who didn’t get the “double dip” the first time around – it’s probably the least understood thing about dividend growth investing. The compounding power of the strategy truly is incredible. Of course you can put up a little write-up explaining what the double dip is all about. I think it’s pretty admireable what you’re doing for your daughter! Totally like your post. Thank you for sharing this to us. Hope to see your blog more. Thanks, Steven! I’ll do my best! 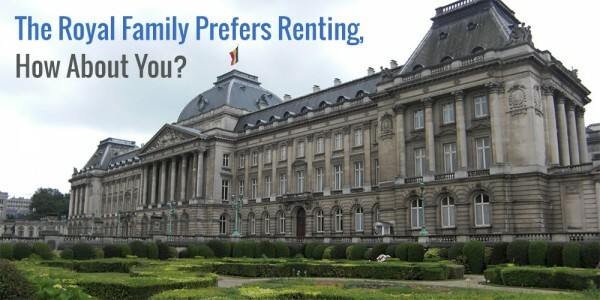 What is the best strategy to reinvest your dividends when living in Belgium? Wouldn’t it take a very long time to acquire a large amount of dividends and then reinvest them? If the amount of the dividend received and then reinvested is too small you would pay very high broker fees in comparison right? You’re absolutely right that high broker fees can really eat into your performance. Sadly, most European stocks don’t offer a DRIP strategy (except for some oil majors and UK stocks). Since I invest every month, and pay transactions costs anyway, I don’t worry too much about it though. Another benefit of re-investing dividends yourself is that you can allocate them to where you see the most value instead of DRIPing them into too highly valued stocks. I use Bolero’s platform. Let’s say you own DIS stock, how do you set up a DRIP? Is that something Belero can help you with?